India recently joined the Electric Vehicles Initiative, which is an assembly for global cooperation on developing and producing electric vehicles. It's clear that we're slowly warming up to alternative fuel sources for cars. And carmakers across the world are starting to notice that. In December 2014, Beijing based multinational, Letv, stated its plans to develop an electric car under a project called SEE (Super Electric Eco-system). Keeping the Indian market in mind, the founder of Letv Jia Yueting said, "The SEE Project will duplicate Letv's complete vertically-integrated ecosystem and redefine the automobile industry. We try to make the best Internet [vehicles] and smart electric vehicles and build an Internet-based vehicle ecosystem." The model in question is expected to roll off the production line by April 2016 with two variants - a high-powered version and a low-powered one. According to reports, it measures 3,465mmx1,625mmx1,530mm in length, width and height, and has a wheelbase of 2,345mm. 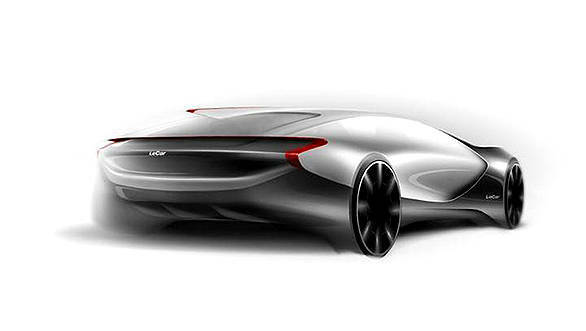 Reports also state that Letv is working with Aston Martin and BAIC Motor Corporation to develop this electric vehicle that will debut at the 2016 Beijing Motor Show in April next year. The car will feature Letv's Internet-based LeUI system connected to a 9-inch touchscreen which allows interaction with other Letv smart devices. This would also allow one to control the vehicle from Letv smartphones. Beijing, October 06, 2015: The most significant (monetarily) deal that came out of Angela Merkel's visit to India was that of a Euro 1 billion solar power fund solidifying India's stance to develop 100GW solar capacity by 2022. These are positive moves in a time when the focus on the effects of climate change are intensifying as too is the focus on how economies across the globe decide to combat the effects of it. One particular way in which India could benefit hugely from alternative fuels is that of vehicles. The Nation recently joined the Electric Vehicles Initiative, a forum for global cooperation on the development and deployment of electric vehicles (EVs). With an interest in the Indian market; Letv, a multinational company based in Beijing, announced its electric car plan on December 9th, 2014, when its founder, Mr. Jia Yueting, announced on its microblog account that Letv will make electric vehicles, and the project is called SEE (Super Electric Eco-system). "The SEE Project will duplicate Letv's complete vertically-integrated ecosystem and redefine the automobiles industry. We try to make the best internet and smart electric vehicles and build an internet-based vehicle eco-system," said Jia's microblog. The said first model looks like a racing car and is expected to roll off the production line in April 2016. According to Chinese media, the first model will be 3.465m/1.625m/1.530m in length, width and height, and its wheel base will be 2.345m long. The model will have two variations, the high- and low-powered ones. The vehicle will equip Letv's intelligent internet-based LeUI system with a 9in touch screen, and can interact with Letv's other smart terminals. For example, Letv's smart phones can control the vehicle and the vehicle can have a seamless interaction with Letv's other eco-products. Recent media reports said Letv is working with Aston Martin and BAIC Motor Corporation in building its first Electric vehicle. And Letv's first model will have its debut show at Auto China 2016, the largest auto exhibition in China, from April 21 to 29th, 2016. With organizations like Letv across the globe contributing, India's target of deploying 5 to 7 million electric vehicles in the country by 2020 can be met. The Nation is also looking to emphasize the importance of government incentives and coordination between industry and academia with a target of 400,000 passenger battery electric cars (BEVs) by 2020; thereby avoiding 120 million barrels of oil and 4 million tons of CO2.